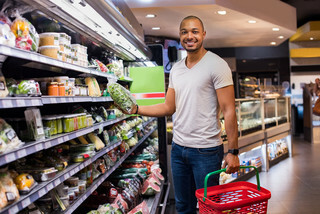 If you’re looking for commissary specials and other helpful discounts for your next shopping trip, just sign up for a free account at MyMilitarySavings.com. We understand how difficult it can be for families living on military bases to find time to plan out their shopping, which is why we have gathered together coupons and discount information for use at the commissary on all of your favorite brands onto one user-friendly site. We even provide a link to the Defense Commissary Agency (DeCA) coupon site, where you can clip coupons directly to your Rewards Card for instant savings at checkout. Also, rather than having to wait until you get to the commissary to see the specials and discounts available in the Price Connexion and the Coupon Connexion, you’ll be able to see the latest editions of those flyers in electronic form every week through our e-newsletter. You can even use our “My Shopping List” tool to save a list of everything you need on your next shopping trip and access it from your smartphone. If you’re ready to start saving with tons of exclusive commissary specials and savings offers, sign up for your free account at MyMilitarySavings.com today.